Is the Landlord Expo 2018 a free event? Yes, the Landlord Expo 2018 is free to all landlords, prospective landlords, agents and managers. The event is organised by the four West of England local authorities (Bath & North East Somerset, Bristol, North Somerset and South Gloucestershire). The event is paid for by event sponsors and exhibitors. 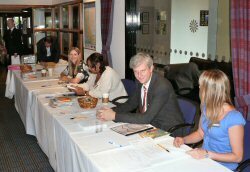 The aim of the event is to provide free information and access to useful resources for landlords in the private rented sector. What is the West of England partnership? The West of England group is a partnership of four local authorities from the old Avon area, namely: Bath and North East Somerset Council, Bristol City Council, North Somerset Council and South Gloucestershire Council. For more information on the West of England group click on the map to the left showing the West of England region. Can I book a seminar in advance to ensure that I get a space? There is no need to book seminars in advance or on the day. As the seminar rooms have enough space to accommodate everyone who wishes to attend. Do I have to register in order to attend the Expo 2018? No, you do not have to register in order to attend the Expo 2018. You may choose to register online, which may save you time if there are queues at the registration desks on the day. However, you do not even have to register on the day if you really don't want to - the event is there to provide you with up-to-date information on the private rented sector and we aim to place no barriers between you and that information. 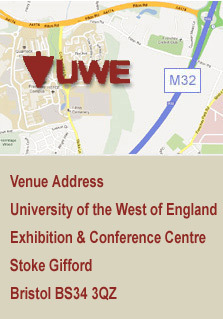 Can I come along to the Landlord Expo if I don't let any properties in the West of England region? Yes. We welcome all landlords and other property professionals to the event. 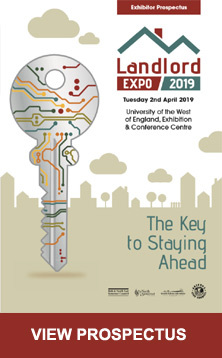 The majority of information available on the day, from both commercial and local authority exhibitors and seminars, will apply to all landlords throughout England and Wales. Is there a limit as to how many seminars I can attend? No. You can attend as many seminars throughout the day as you like. We try and organise the seminar timetable so that you will have a chance to hear all the different speakers, but this is not always possible. If you cannot make it to a seminar for any particular reason please contact us after the event and we will send you any information that was handed out on the day. Will there be refreshments for delegates? Yes. There will be tea, coffee and water available for delegates throughout the day. Each delegate will be issued two vouchers for drinks. There is a café selling a range of light snacks. Will there be lunch and refreshments for exhibitors? Yes. Exhibitors at the Expo 2018 will be provided with a lunch voucher to exchange for food at the venue. Two vouchers per exhibitor stand will be issued on the day. Please contact us for further details. If you can't find an answer to your question please ask your question here.